One of the nice things about being part of the LGBTQ community is that it’s incredibly diverse. Yet diversity isn’t just about race, of course. Issues of disability can pop up in the community, leaving room for very awkward pauses. 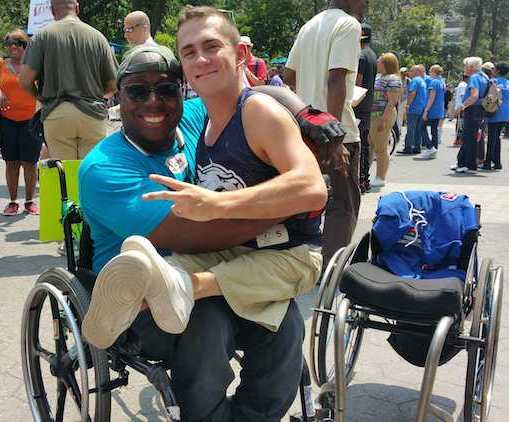 The truth is that we have to do more than just tolerate people with disabilities. We have to embrace them as full-fledged members of this community. People assume that someone with a disability doesn’t have any interest in relationships, but that couldn’t be further from the truth. In reality, it makes sense. Say you lose your arm tomorrow. Does this mean that you no longer have a desire to be with your gay partner? Not at all. It’s a great idea to start looking at disability issues, because it’s up to all of us to be great advocates for each other. The more attention that you give towards handling everyone with respect, the more likely it is that respect will be paid back to you. 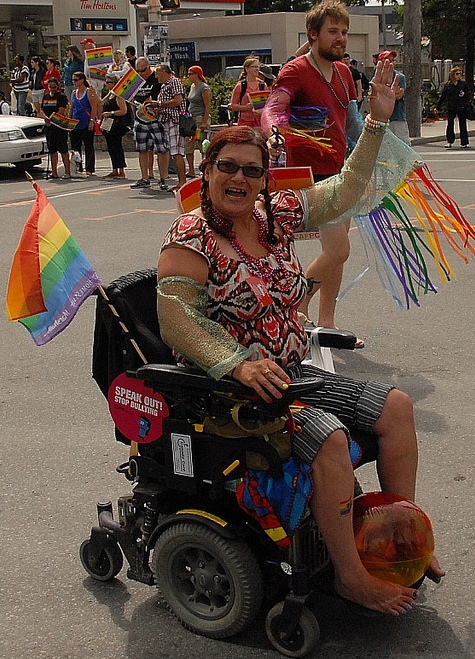 Here are some tips to keep in mind if you’re going to be a strong advocate for disabled LGBTQ people. Let Go of Stereotypes - Hollywood is full of stereotypes with disabled people. Not every disabled person wants to break world records or stand out. They’re regular people living everyday lives, and they want their feelings respected. Assuming that someone lives a wildly radical life simply because they’re disabled is disrespectful. Instead of stereotypes, focus on what they want as individuals. Be a Great Listener - This is a great chance to hear how someone else lives. You can be a great friend as long as you’re willing to never stop learning and keep an open mind. This isn’t the time to go on some big long rant just because you feel like you have a “captive” audience. Hear the other person out and be sure to ask questions only after they’re done talking. Giving them a chance to speak up is great because we never really know what someone is going through, or feeling. Stand Up For Their Real Life - Want to know a secret? 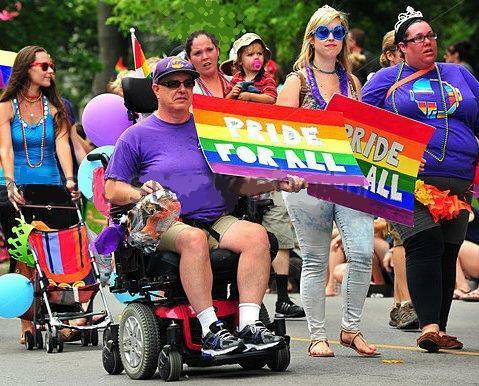 The life of gay people doesn’t differ all that much just because disability is involved. So why then is the community often too silent when it comes to people with disabilities? We assume and act like their lives are completely different, when that isn’t the case. At the end of the day, they deserve the same rights that we’re fighting for. They have other issues that they have to face because they are disabled, and this means that they deserve good allies. However, there has to be a balance between the two points as well. Just as you don’t want to be disrespectful, you also don’t want to assume that everyone needs your help. It’s important to keep this to the individual at hand, rather than what you think they need. They will speak up and let you know, believe us. Keeping these tips in mind encourages not just open communication, but a true exchange of ideas. You can’t have that without respect being at the start of everything. People dealing with disabilities just want to feel like they’re truly part of the community, rather than just a convenient talking point when you want to win an argument. Don’t ignore these tips if there is a chance for genuine communication and sincere connection. You won’t regret it! Hands and fingers move through the air with amazing speed and precision. I sit watching, hoping the weak smile on my face will mask my befuddlement. All I see in these movements is a blur. Everyone else at the table sees jokes, anecdotes, and answers to the omnipresent dinner party question, "What have you been up to lately?" I am at a birthday dinner for a deaf friend of my sister, and I am only one of two hearing people in attendance who doesn't sign. The other looks like she has suddenly been transported to a marketplace in downtown New Delhi and she has no idea what to do or how to act. I imagine as I am sitting there that this is but a small taste of the daily experiences of the deaf. Far too often, they find themselves at the table, so to speak, but excluded from the conversation. In the decade since that dinner party, fortunately, there has been advances in awareness of the challenges facing deaf people, in large part due to efforts to comply with the Americans with Disabilities Act in the United States and similar laws elsewhere. Consequently, deaf individuals aren't excluded from the conversation quite as often, anymore, but still too much. While the rest of the world catches up and works to include the hearing impaired in the fabric of society, the deaf have created their own community through organizations, social gatherings, and internet forums. 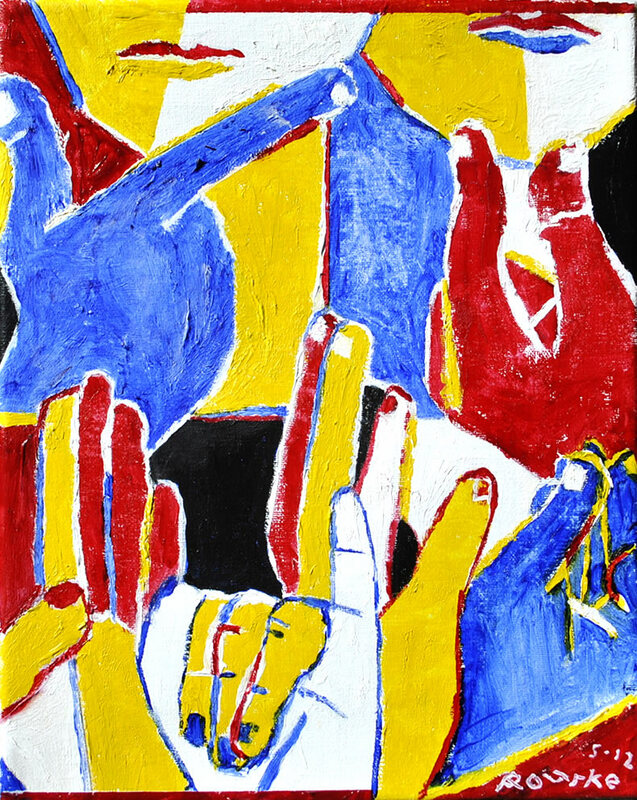 In this way, the deaf community is much like the LGBTQ community, and a substantial body of research that looks at issues of inclusivity and diversity has included sections on challenges facing both deaf and LGBTQ individuals, as they are often the same. However, scant research has been done on those individuals who are both LGBTQ and deaf. This is surprising, considering what my sister, an interpreter for the deaf, has told me: "You'd be surprised how many deaf people are gay." How many exactly? 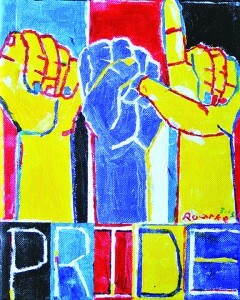 According to the Deaf Queer Resource Center, there are about 2.8 million deaf LGBTQ persons in the United States alone. 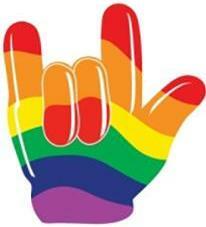 Perhaps because of the lack of widespread attention, the deaf LGBTQ community has developed its own subculture. 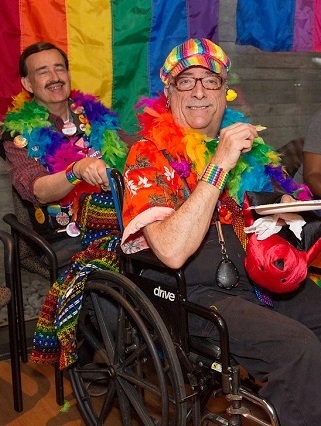 Several organizations exist to help facilitate the spread of information about LGBTQ persons with hearing impairments and to bring together the community as a whole. Among those organizations is the previously mentioned Deaf Queer Resource Center, whose primary function is the dissemination of information about and for deaf LGBTQ individuals. More proactive is the Rainbow Alliance for the Deaf (RAD), which advocates for the rights of the deaf and LGBTQ, as well as having a bi-annual conference. Not only does the conference educate and have workshops, they also name a man and woman of the year, for those individuals who have excelled in advocacy and charity work in their communities. Additionally, they have a pageant with a Mr. RAD, Ms. RAD, and Miss RAD named. According to a 1990 study by Daniel B. Swartz, Perceptions & Attitudes of Male Homosexuals from Differing Socio-Cultural & Audiological Backgrounds, deaf gay men very likely to join organizations and gay rights groups. Further, deaf gay men are happier in their relationships and have more positive self-images than hearing gay men. However, Swartz found that the level of confusion about one's sexuality was the same for hearing and deaf men who had deaf parents, which suggests a general lack of knowledge of LGBTQ issues among straight deaf individuals. Unfortunately, a couple of separate studies found that deaf LGBTQ persons are more likely to be victims of sexual, physical, and psychological abuse or assault. 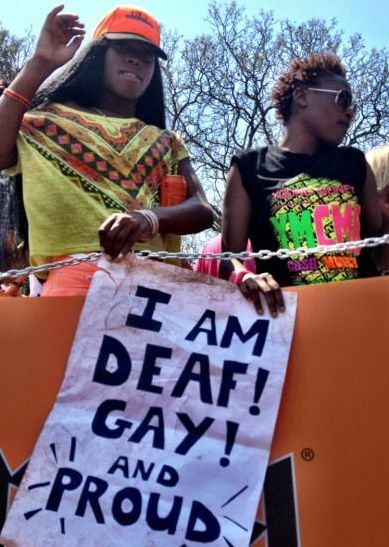 Gay deaf individuals are also more likely to contract HIV. Klinger concluded that the more comfortable an LGBTQ person is with his or her identity and feels a connection to the community, the more likely he or she is to have acquired sexual knowledge, although this is more likely among deaf gay men than deaf lesbians. Of course, those who are deaf and gay aren't the only ones facing challenges. Anyone who deals with both disability and sexual orientation issues must navigate a different path. While there is a dearth of literature on being gay and deaf, it's an abundance compared to the amount of literature available concerning LGBTQ individuals who are blind. 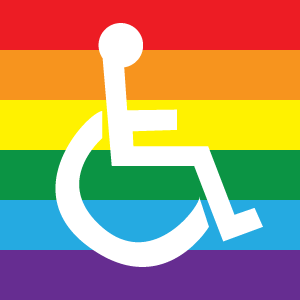 Fortunately, there has been more research devoted to handicapped individuals who are LGBTQ. 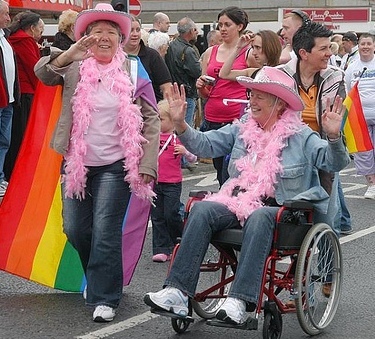 Regardless of how much attention or research has been devoted to them, those with disabilities who are gay or lesbian must deal with an extra burden of both societal judgment and misconceptions. You Tube: Do You Dream in Color? 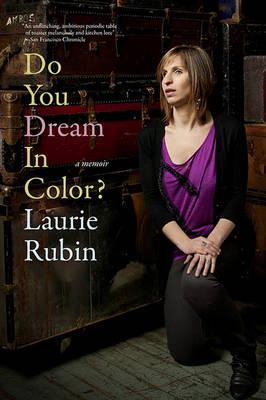 Blind since birth, mezzo-soprano Laurie Rubin tells her empowering story in memoir Do You Dream in Color? Insights From a Girl Without Sight. 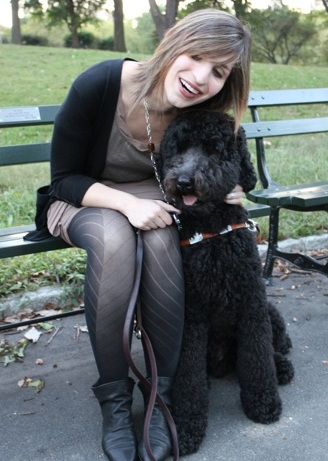 Acclaimed mezzo-soprano opera singer Laurie Rubin has been blind since birth, is openly lesbian, and of Jewish background. What better reason to write a memoir? On paper, she was, obviously, not your typical everyday teenager growing up. But with determination and a strong support system, she continually surpassed and redefined others’ expectations, both professionally in the music industry and outside of it. Defying the naysayers since childhood, the lively and charismatic Rubin released Do You Dream in Color? Insights From a Girl Without Sight in 2012, recounting her experiences from childhood to full-fledged opera singer. An uplifting story about her journey to follow her dreams, Rubin’s story asks those universal questions (Who am I? and Where do I fit in?) while giving an insight into a musical world you probably know nothing about. Not only does she have a busy concert schedule, Rubin is also in developing a curriculum for Yale music (where she earned her master's degree) that will aim to dispel stereotypes and better the perceived value of people living with disabilities by allowing people of all ages and walks of life to share in the experiences of blindness.